Do you want to have quick insight how mortgage loan market works in Poland? Don’t wanna spend tons of time by making research and reading articles? This post is for you. I listed below basic facts about the market. It will be good introduction to subject. I’m keeping this post up to date! 10%, 15% or 20% – vary between banks. It means maximum LTV ratio (Loan-to-Value) is 80-90%. Bank estimate property value based on purchase price (unless bank’s valuation is lower). You can also borrow additional amount for finishing / renovating your apartment / house – then bank will increase property valuation adequately. Bank will adjust interest rate in every three month period. On the chart below WIBOR 3M in 5 years period (source: bankier.pl). Click through the chart and check different periods. Instead of arrangement fee some banks require insurance with comparable initial premium payment. Some banks require life insurance with monthly premium payments which cover the debt in case of borrower death. Some lenders may charge you if LTV ratio exceed 80% by increase interest rate 0,2 – 0,6% until LTV drop under 80%. 100 – 800 PLN – vary between banks and also depend on property type. There are banks with early repayment fee lower than 3% or even with no charging borrower at all. 4 – 8 weeks (from submitting an application to signing a mortgage agreement) – vary dependent on how busy the bank is and the complexity of the deal. In some cases the whole process can take significant longer. Detailed informations about application process you can get in banks or from a mortgage broker. In most banks borrower can’t exceed the age of 70 or 75 during repayment. 8. Is credit history necessary to get a mortgage? No. 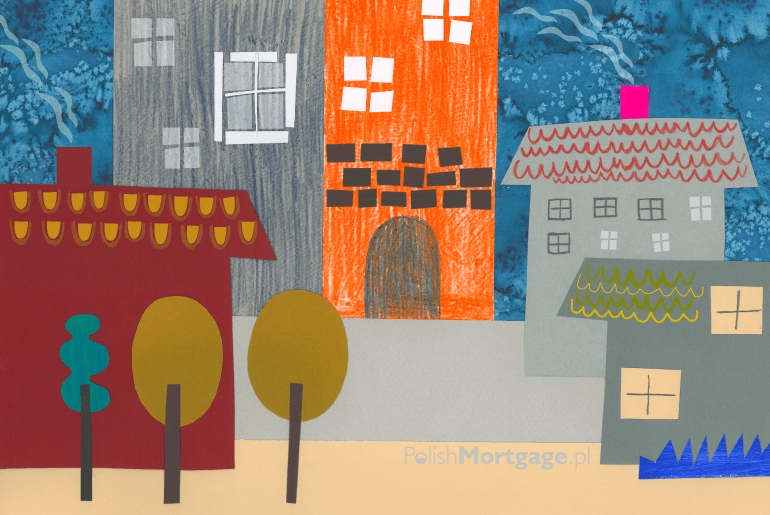 You can get a mortgage in Poland with no credit history, however in some banks it might be an advantage if you have some.